The cybersecurity threat landscape keeps changing rapidly and the security threats it throws are becoming pretty tough to handle. To give an example, zero-day exploits. With this being the situation, now the question is: what antivirus of today would you call a top-rated antivirus software? One that can really serve its purpose? This article tries to answer this question. A top-rated antivirus software is the one which is highly rated in the IT security market because it can protect computers from various security threats using the following features. Solid Defense Mechanism: Protection against various types of malware is absolutely needed. For example, our very own Comodo's Default Deny Platform (which is unique to Comodo) ensures all kinds of files and applications – whether malicious or not - are checked before they enter into your system. This reduces the chances of your system being infected greatly. Ability To Restrain Bad and Quarantine Malicious Files: Malicious files are usually of two types: the ones which have already been blacklisted as 'bad' and those 'unknown files' which may turn out to be 'malicious'. Your antivirus package should be able to identify these files and act on them. Our Comodo Internet Security (CIS) does this using Containment technology. Regulate Web Traffic Using Security Policies: Malware needs internet to distribute itself. Therefore by regulating web traffic (internet) through appropriate security policies, users can keep malware at bay. This can be accomplished using a firewall. Our antivirus comes equipped with an advanced firewall engine. Track Activities Within Your Computer: Modern-day malware has the potential to easily slip through various layers of protection and enter your PC. Therefore you need a technology which scans your PC(s) activities (applications and processes that are running) and stops or terminates suspicious looking ones. HIPS (host intrusion prevention system) technology, which is a part of our antivirus, is responsible for this. HIPS can also detect (and stop) file-less malware as well which don't leave any traces behind in your operating system. Secure WiFi Connectivity*: Another important security feature to consider is Wifi security. Many antivirus packages come equipped with Wifi security provisions. 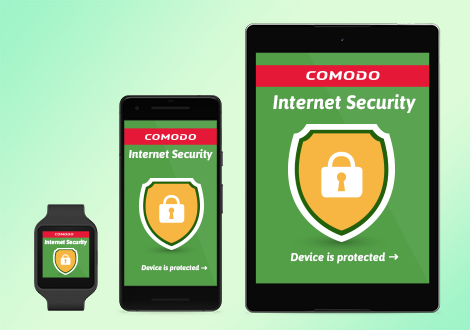 So does our Comodo Internet Security. Proves extremely useful when connecting to public Wifi(s) which usually pose various security issues. Malware Removal*: Can prove useful when security fails and malware infects your system. It's better to be prepared for such a situation in these days of zero-day exploits than wait for some security incident to happen which bypasses your antivirus security and infects your PC(s). Comodo Internet Security (CIS) also includes malware removal service as well. *Security features available only with the paid version.